Trials and legal proceedings in courtrooms play out as a battle of words and wills. 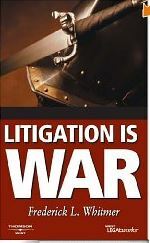 In Litigation Is War, a new book published by West Legalworks™, Frederick L. Whitmer suggests that the winners in litigation also may be determined by who best applies the fundamental principles of military strategy. … Inspired by the strategic philosophy of Carl von Clausewitz’s On War, as well as his famous quote that “war is merely the continuation of policy by other means,” Whitmer explores litigation strategy-based principles rooted in Clausewitz’s military strategy. Whitmer believes modern commercial litigation is “the continuation of business by other means,” and by instilling and developing the intellectual discipline of a structured approach – similar to military strategy – lawyers can build and direct their cases with confidence and imagination. 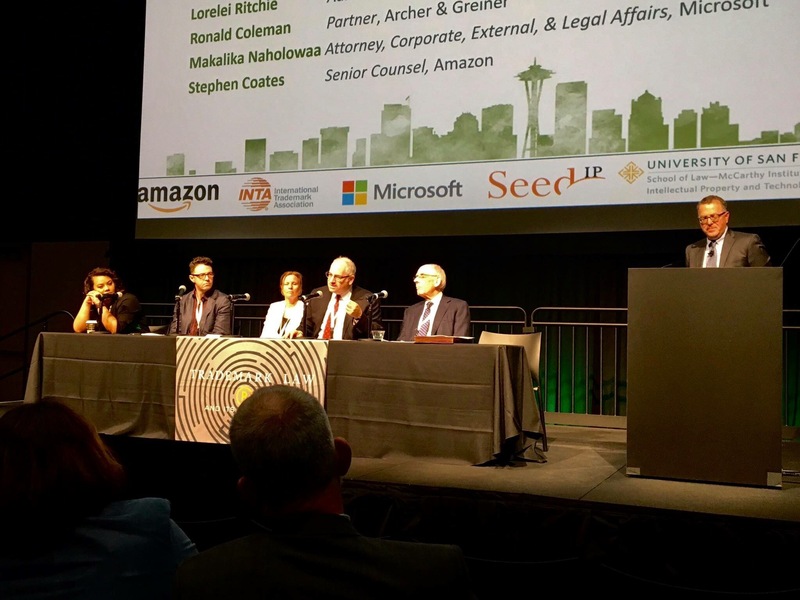 I used to work for Fred Whitmer, a great commercial litigator (who was always comfortable with IP but has transformed himself nearly entirely it seems into a top IP litigator), and who gave me some of my most important opportunities to grow as a legal professional. Do not hold that against him, however; he’s quite good at what he does. I also had the privilege of looking over some early drafts of part of this book and making comments which, of course, he completely disregarded. Fred’s a unique guy, principled, funny and smart as hell. He also utterly refused to have his picture taken at our old law firm so, I guess, anyone can change.